We all love to wear accessories, such as necklaces, to accentuate our personality and for all the attention that beautiful necklaces draw towards the wearer. However, some people have a penchant for accessories that aren’t common but are unusual pieces. For all such people, here is a list of some weird necklaces. Hatanaka is a renowned Japanese fake food manufacturer that has been offering fake foods to restaurants for display since 1965. 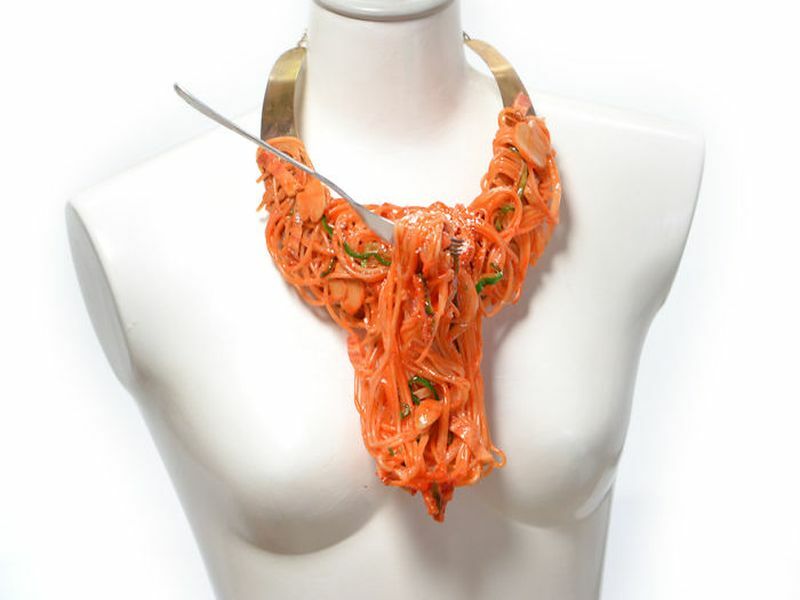 Now, the company has started manufacturing very attractive fake food accessories that include red pepper earrings and the full meal necklaces, such as the spaghetti necklace. Ice necklace is weird but is certainly a great way to keep you cool on hot summer days. 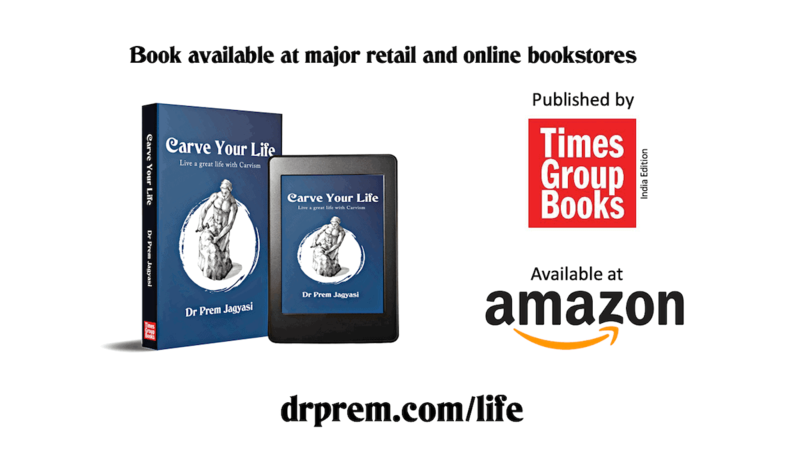 You can try making one on your own as well. Use colored ice for making an ice necklace that is much more beautiful than the plain ice. You must have seen or even worn mushroom pendants a number of times. 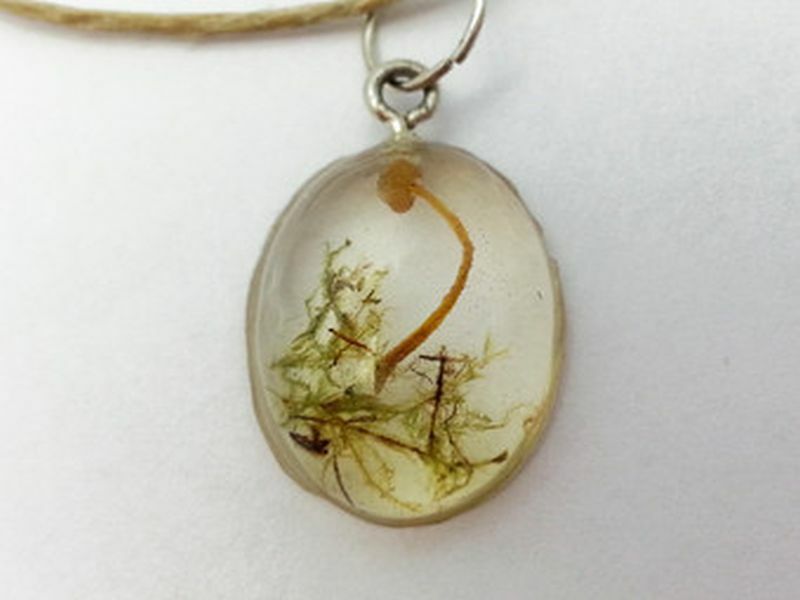 However, if taking weirdness to another level is what you are aiming for, you must try wearing a real mushroom necklace or pendants. Here is the pizza holder necklace or portable pizza pouch you can call it. 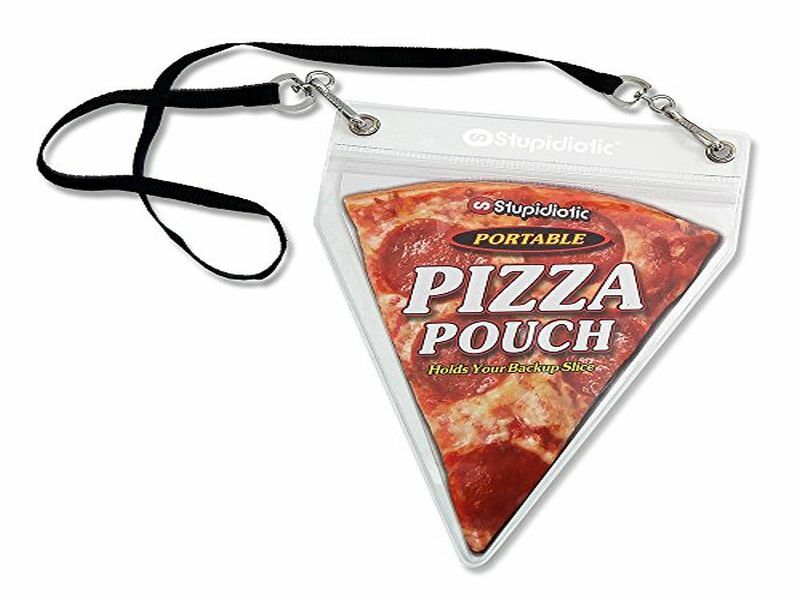 It is weird but ideal for those who wish to carry their favorite pizza piece with them all the time. Fur Necklace is a part of Cecilia Valentine’s living pet jewelry. It is a weird yet innovative way of wearing fur while it is alive. Showcasing cute animals in three-dimensionally printed design necklaces, the designer has tried to bring attention to the cruel fur industry. Wearing this necklace, you could literally haunt people out there. 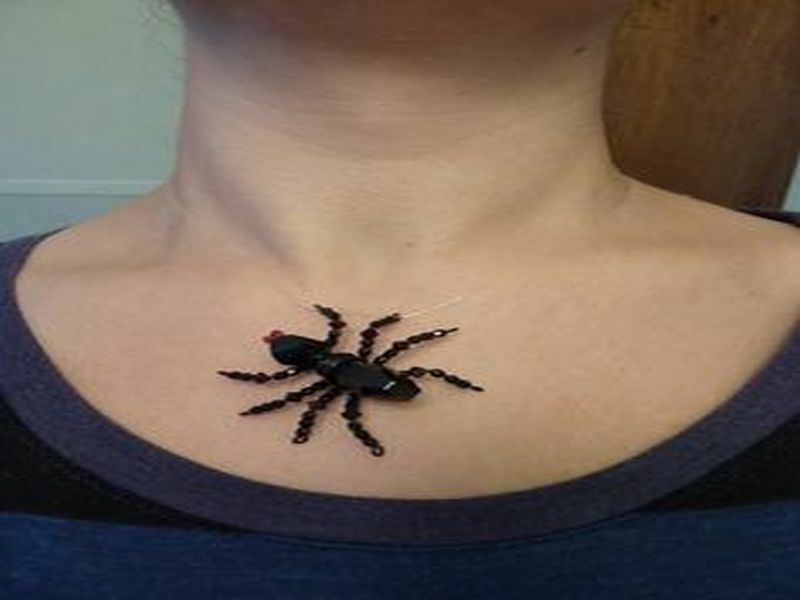 With a transparent lace, the spider actually appears hanging or crawling on your chest. If you are in love with condoms, you might find this weird condom necklace interesting and appealing. Hung on a 27-inch silver ball chain, the real un-lubricated colored condom with a lick me pendant beneath can piss off onlookers. 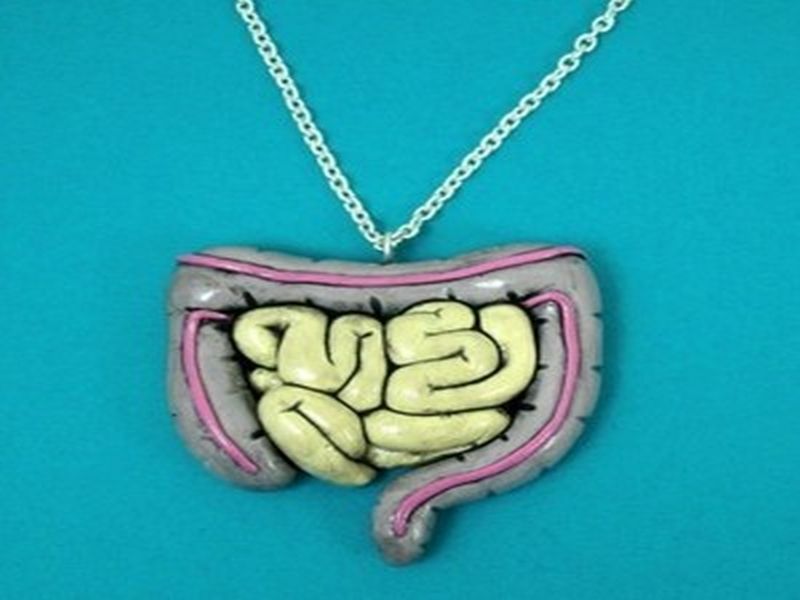 This one is the creepiest, the intestine necklace. I fail to understand how anybody could ever fall for this kind of jewelry. I mean how someone could love wearing an ugly looking intestine as a necklace. When creative artists are given opportunities to go wild with their designs, they often come up with weird and strange designs. 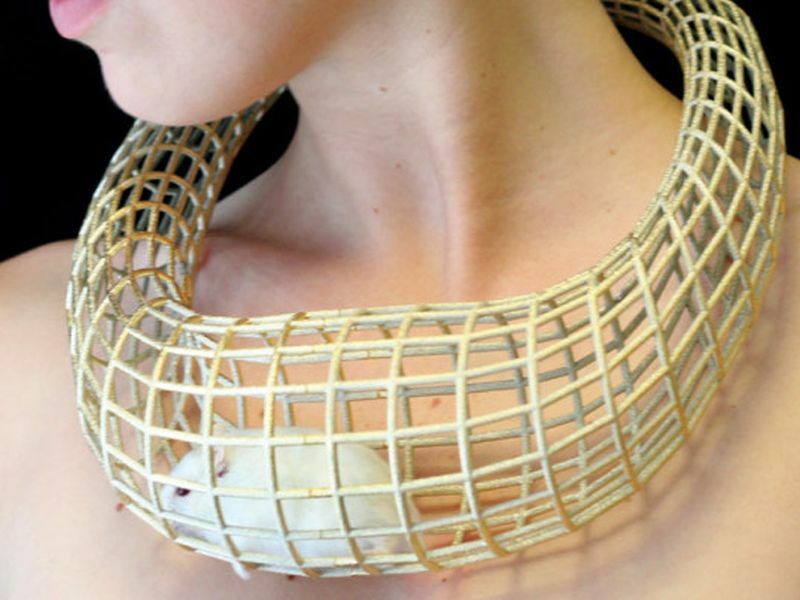 Such designers and creative artists have created some weird necklaces.